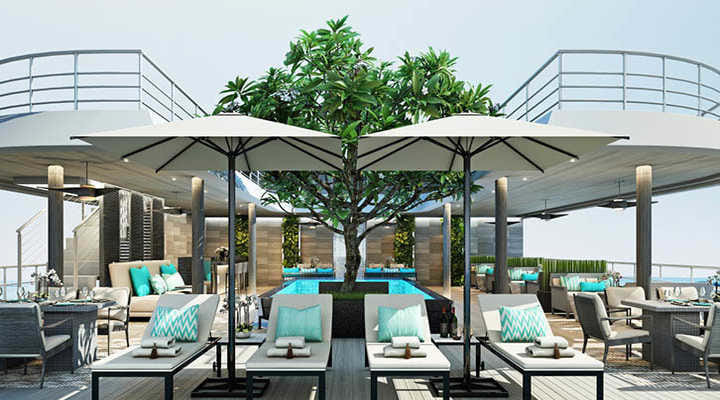 Scenic Aura was launched in 2016 and is a 213-foot ship which can accommodate up to 44 passengers and 22 one bedroom balcony suites. It has an almost 1:1 staff-to-guest ratio and has a swimming pool, steam sauna and open-air cinema. 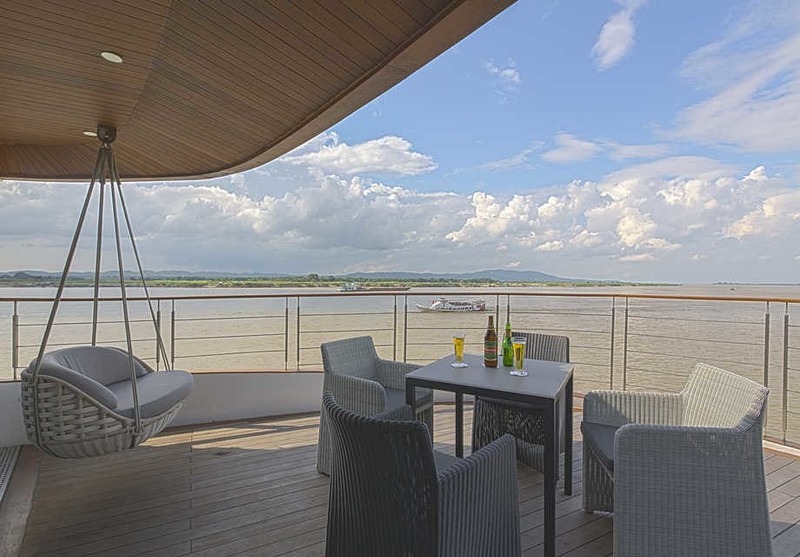 It has been expertly designed to negotiate the Irrawaddy River and features five decks and a wellness centre. The five-star ship is described as living world of art as each feature is innovative and has been designed with space in mind. Each of the 22 suites has a separate bedroom and living area along with a Scenic Sun Lounge which is an all-weather balcony which can be used to shield the balcony from extreme weather and still be able to enjoy the space anytime at the press of a button. The open-air cinema is located on the sundeck where you can watch a selection of films including old classics and new blockbusters. All cabins feature a Scenic Sundeck. This suite features a large outdoor terrace and furnishings as well as a private Jacuzzi. This suite features a balcony, private butler and one queen bed. This features a queen bed, outdoor balcony and a private butler service.